Working in children’s publishing is fun - creative, collaborative, rewarding fun. So how do you go about forging a career in children’s publishing and what skills do you need, especially if you want to work in commissioning? We’ve put together a detailed guide to the skills, attributes, and experience you will need for a successful career in children’s editorial. 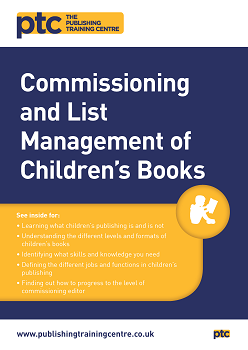 There is also advice on the common misconceptions that are held about children’s publishing plus details of other roles and their requirements, if commissioning is not your ultimate goal.